I’m sure you’ve heard the term “opportunity cost” before, and even have a pretty good idea of what it means, in a financial sense. But… What if that’s not all there is to understanding “opportunity cost”? 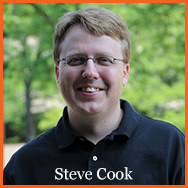 Lifeonaire’s vision and purpose was first sparked by a quiet time Steve Cook had about a decade ago. So naturally, it’s no coincidence that Lifeonaire’s principles orbit around clearing the fog of the distorted American dream and awakening to God’s principles for achieving more abundant life. In my recent article I shared a really excellent summary of what it means to be a Lifeonaire from one of my coaching students, and how he goes about making sure he achieves his Vision.